Graduating Class, Assawompset School, Lakeville, MA, photograph, 1914. Photo courtesy of Scheren (Smalley) Dunham. 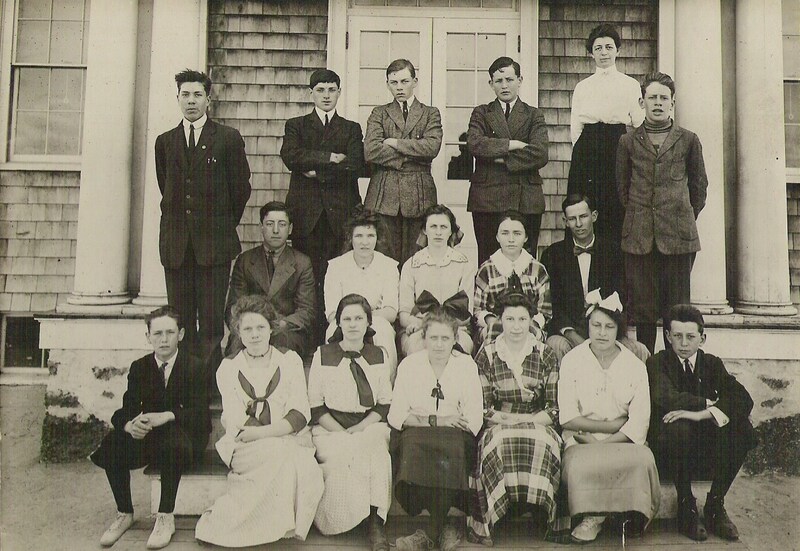 Among the graduates are Mary Agnes McGuinnness seated in the second row, second from the right. The school's principal, Mrs. Elizabeth Benson, stands at the rear.